Why choose Bowden electrical as your commercial electrician? Selecting the right electrician for your business is an important step in ensuring you are fully compliant with all of the regulation associated with electrical works. 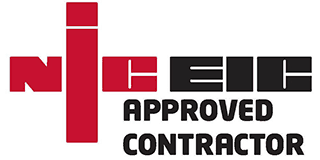 We are fully licensed and NICEIC registered, keeping up to date with all the laws around health and safety in a commercial environment. This means that when you hire us, you are also hiring our extensive knowledge. 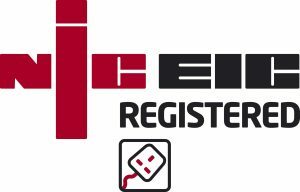 All of our work is carried out in line with the latest edition of the IEE Wiring Regulations for the use of electrical equipment in commercial buildings. We can undertake maintenance and breakdown services for our commercial clients, minimising downtime as much as possible. Our maintenance service also includes fault finding and repairs. Fire, smoke, security...we cover it all. We install, maintain and repair alarm systems to protect your business and validate your insurance. We install, maintain and service fire alarm systems to BS 5839 standards, emergency lighting systems to BS 5266 standards and electrical systems to BS 7671 standards. 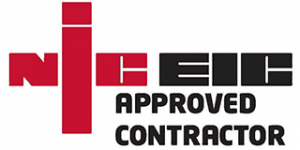 Read more about Electrical works standards here. Don’t let your business premises fall behind. 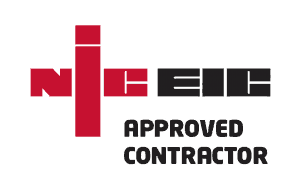 Our electrical installation condition reports are carried out periodically in accordance with regulatory recommendations. This report involves sending one of our highly professional commercial electricians to inspect and test the electrical installations in your offices, warehouses or any other business building. Need cooker points, electrical showers or any other electrical appliances installed at your business? We can manage these projects for you and arrange a schedule of maintenance too. Staying connected in a safe and secure manner is crucial for businesses. Our data cabling and networks service includes cat5 cable installations and much more. Old electrics, or new requirements? We can carry out rewiring projects of any and all scales. Call 01273 327834 / 07758 210 525 now to discuss your project, or fill in the contact form below. We will then visit your site and carry out a complete assessment.